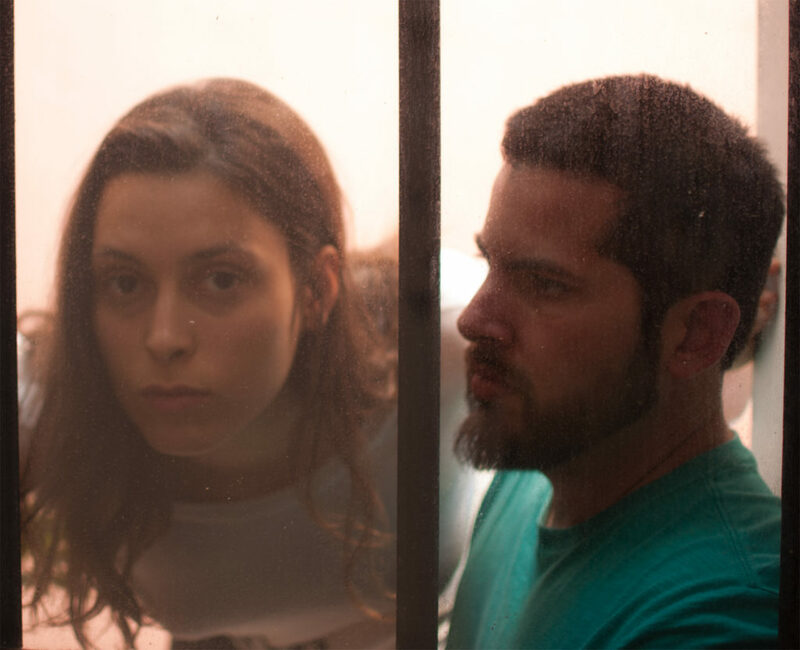 Argentine-Peruvian improvisational instrumental duo RICARDA COMETA is on their way to Europe to kick off their latest tour, and their first tour supporting their Ricarda Cometa 2 album, released last week through Nefarious Industries. Influenced by no-wave, math rock, African, Latin, and Asian ritual music, RICARDA COMETA is always exploring and expanding through improvisation the sounds that inhabit the verge of rhythm and noise, and the interplay between members Tatiana Heuman and Jorge Espinal is engrossing and immersive. The fully improvised and instrumental Ricarda Cometa 2 explodes with their singular blend of ritual soundscapes, mutant noise, and dancing tropical grooves. Percussive guitar lines zigzag, intersect, and intertwine with explosive and precise drums and percussion. 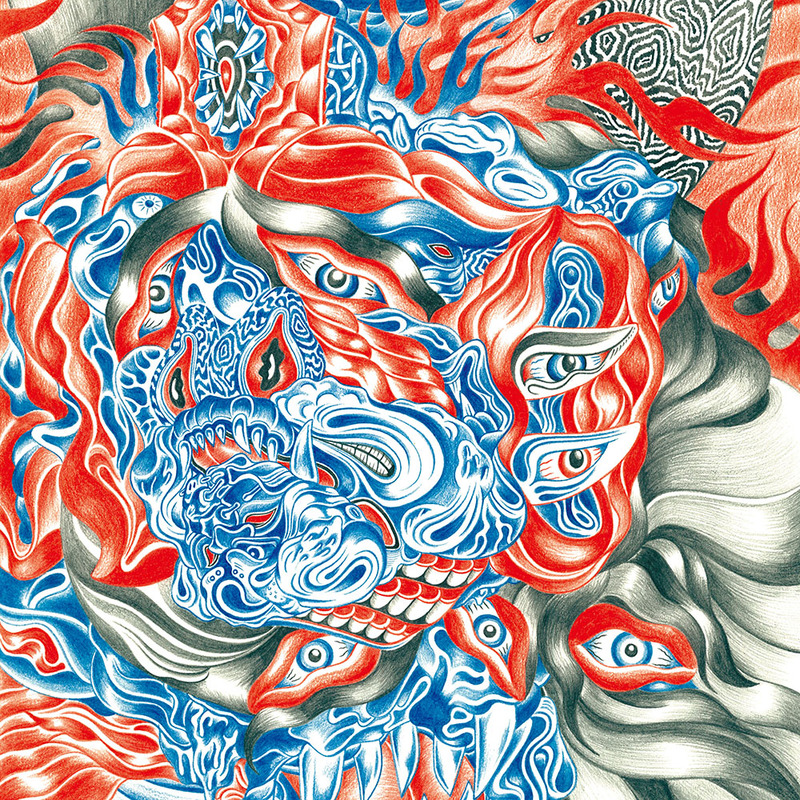 With eleven tracks in twenty-four minutes, the record recorded by Sam Nacht at Estudio Libres in Buenos Aires, Argentina, mixed and mastered by Jorge Espinal, and completed with appropriately vibrant cover art by Hideyuki Katsumata. 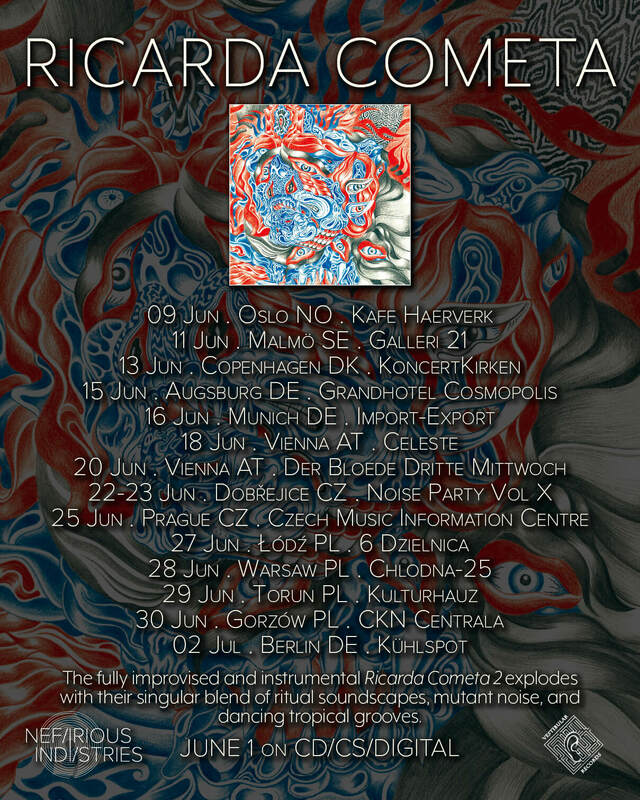 In conjunction with the release of the new album, RICARDA COMETA returns to Europe this week, kicking off their new tour this Saturday, June 9th in Oslo, Norway. The tour runs through July 2nd, ending in Berlin, Germany. Ricarda Cometa 2 available digitally and a in a limited CD run via Nefarious Industries, and can be found at the label HERE and Bandcamp where the album is streaming HERE. A cassette version is also available through Vestibular Records.